Summertime... isn't it supposed to be relaxing, what with the kids out of school, and all? Instead, I feel like I'm going six ways and getting nothing done! Maybe it's just culture shock because I've never had a child before. Jakob seems to be taking it all in stride and just says "we'll get there!" whenever I panic. Here is what we have to fit in this summer: work (of course), trip to Delaware to meet with the geneticist that Jocie (my little person step-daughter) has been seeing every year her whole life, a trip to Boca Raton to spend some time with my folks, and... then it's back to Queensville and back-to-school time and a round of medical, dental and eye appointments, school shopping, clothes shopping, getting the clothes altered (Jocie usually needs pants and skirts shortened), etcetera. Jakob swears we'll get it all done and not to freak out. He says I'm only so stressed because it's my first summer being a mom, and that I need to just chill and we will get to every item on the list. Okay, I buy that, but how do we get so much done and still find time for fun? Usually, in summer, I find time to go camping with some university friends in Canada for at least a week or two, and visit my grandmother in London, Ontario for a week. I work, of course, but also spend time in the garden, and read - lots and lots of books! - and hang out at the cottage with my parents for a week or so, too. I'm not complaining. I love my new life as Jakob's wife and Jocie's mom! (Do you think she'll ever call me Mom?) But it's a change, and change is hard. How do you handle change in your life? Do you find change stressful, or fun? 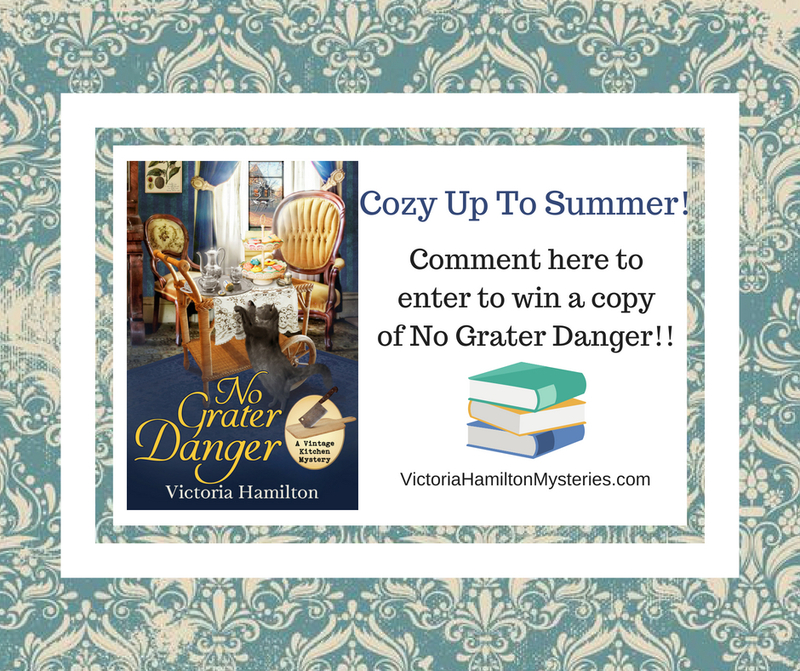 Cozy Up To Summer Giveaway! Hello, dear readers! 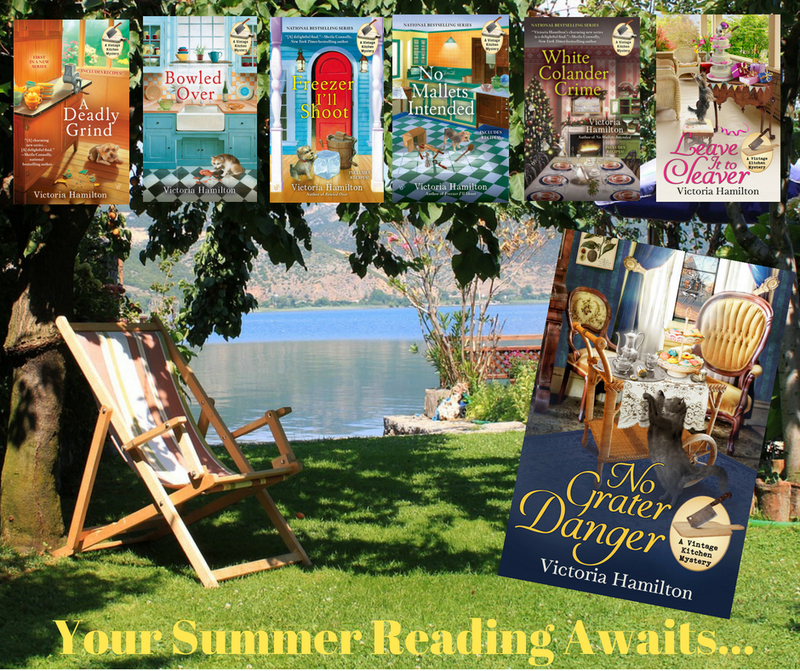 I'm so happy to see you all here, at Killer Characters' annual Cozy Up To Summer! month of giveaways. I will be giving away one signed copy of No Grater Danger, as well as a bookmark and Vintage Kitchen Mysteries recipe card! 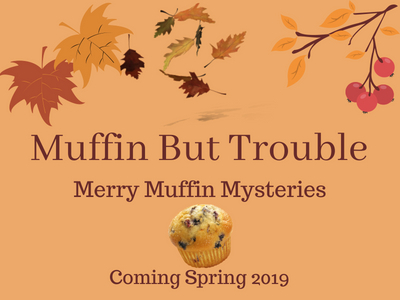 Open to Canadian and US readers! 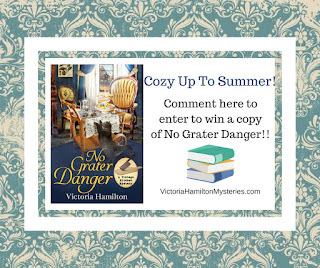 Comment here with your email address (yourname (at) yourserver (dot) com) and a first name by Midnight, July 22nd. If you comment after midnight, July 21st your comment will NOT show up right away, but will go into moderation; I'll approve them all before choosing a winner! 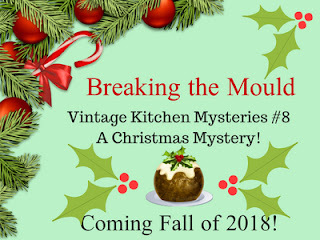 Good seeing you all, and stay tuned for MORE Vintage Kitchen Mysteries coming this year, AND Merry Muffin Mysteries, coming in 2019! A Christmas Vintage Kitchen Mysteries, coming Fall of 2018! A NEW Merry Muffin Mysteries coming Spring 2019! I only like change if it's good and not stressful. I don't like change and don't do well with it, although I will say I have gotten better with it the past few years. Change can be hard and stressful but at times is needed. Change is inevitable. Best have fun with it. Makes it better. I just moved after living inthe same place for 40 years. Unfortunately, change just comes with life. You just need to find the fun in it! Lately change comes with stress..now when I was a child I really enjoyed it. Thank you so much for the contest. Change for most of us is stressful whether good or bad. I try and take one day at a time. It is not always easy but for me that how I deal with it. Change happens. We may think we’ll never get used to it, but ultimately we adapt and conform. That’s the only way to survive. Change is sometimes hard for me. Fear of the unknown I guess. Things change every day and you just have to go with it. That's a lot of change all at once. I find it easier in small doses! Thanks! There is good stress and bad stress. I don't mind the good kind that comes with happy changes. Change is a part of life. Good or bad, there are stresses to it. I do think your attitude about it can either add to the stress or alleviate it. If you accept it and choose to find the positives in it, the stress will still be there, of course, but it will feel lighter and you will adapt to it faster. It is when we choose to fight it that change becomes its most difficult. cristinaalaska(at)gmail(dot)com Thank you! I don't handle change well at all. The other day the hardware store had moved the furnace filters from where they always have been and I got upset. LOL! Change is very hard to deal with at times, but it is part of life. Without change how would we grow. No one likes change at first, but sometimes it is necessary. I've developed a go with the flow attitude to deal with any resulting stress. I enjoy change except in my personal life, which is good. Looking forward to this and the new books coming up! I never thought change was that much fun, but have learned for sure since retiring that things continue to change and you just need to go with the flow. I used to not take change very well but change is inevitable so you have to learn to breathe through it and adapt and not let it get to you. Meditate and know that you can get through it if it's a bad change and if it's a good change, then it was all meant to be. Sometimes change can be good even tho it is stressful. You just have to power thru that stress. to stay positive even if stressed a bit. I don't really like change, but I know that it is essential to life sometimes. mcastor07 (at) gmail (dot) com. Good changes can brighten and add a sense of fun to your life! rebarger(at)bellsouth(dot)com. I find change to be very stressful. But it happens whether I want it to or not so I've learned to go with the flow. mom2six (at) gmail (dot) com. Thanks for the chance at the giveaway! Book looks really good. Would love to read it. Change keeps me on my toes. I think most major changes come with some stress. I try to take it as it comes, I believe that everything will turn out the way it was meant to be. I have to accept change because I had open heart surgery when I was a baby and most people cannot accept that I can do what they can do, perhaps even better at times. If you want things to get better, then you have to change. Early like this series bedbug to live in that little town seems like some really fun people to know. Some changes are fun, others stressful. Change can add some spice to life, but not if there's too much at once. I do not deal well with change!! I don't handle any change well at all. I don't even re-arrange my furniture. Change is part of life. You cannot move forward in life without there being some change. 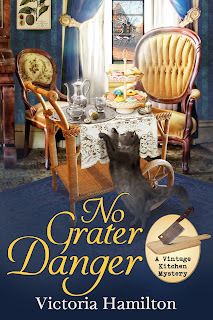 You are a new-to-me author and am very excited to start adding your books to my TBR list! I love change. It gives you a chance to experience something new, and new is good. All if us will face change if we live long enough. Along with the stress there can be the satisfaction of knowing that we made it through and often the realization that life is actually better! Better get used to change at an early age because everything is one big change!!!! Get used to change at an early age because it never goes away!! Thanks, everyone, for entering. I think Jaymie appreciates the advice... LOL!! I have emailed the winner.